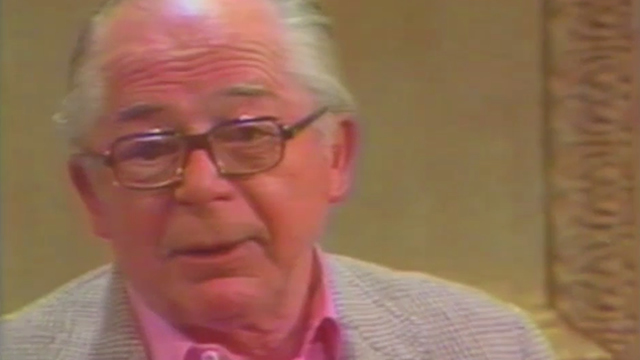 Billy Wilder (THE APARTMENT, SOME LIKE IT HOT) explains the emotional power of inserts – short film shots that detail the action – at his Harold Lloyd Master Seminar at Greystone in December of 1978. His examples range from Sergei M. Eisenstein’s BATTLESHIP POTEMKIN (1925) to Alfred Hitchcock’s THE 39 STEPS (1935) and PSYCHO (1960) to Frank Capra’s IT HAPPENED ONE NIGHT (1934). Follow along with the Fellows and learn from a master! Wilder was AFI’s 14th Life Achievement Award honoree in 1986. Copyright © 2019 American Film Institute. All rights reserved.